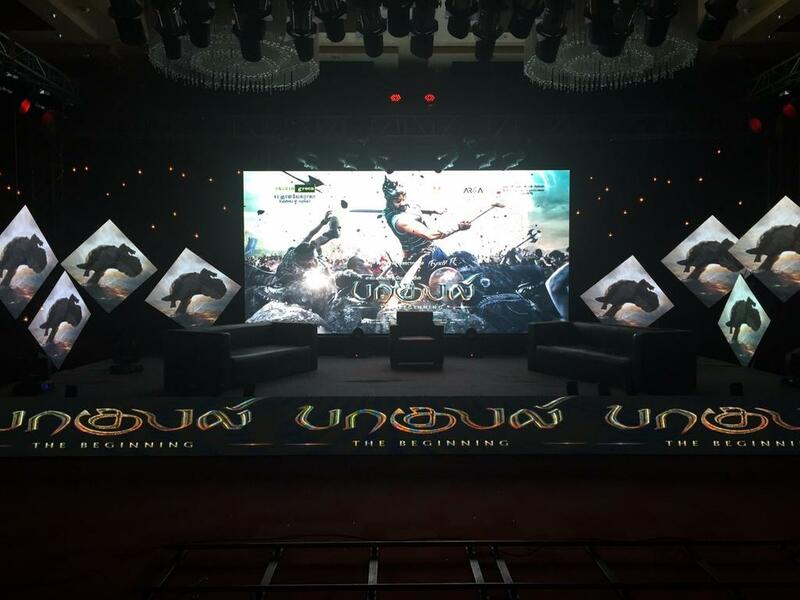 SS Rajamouli's magnum opus Baahubali Trailer launched in Chennai on Friday, after the Hindi version was released in Mumbai. 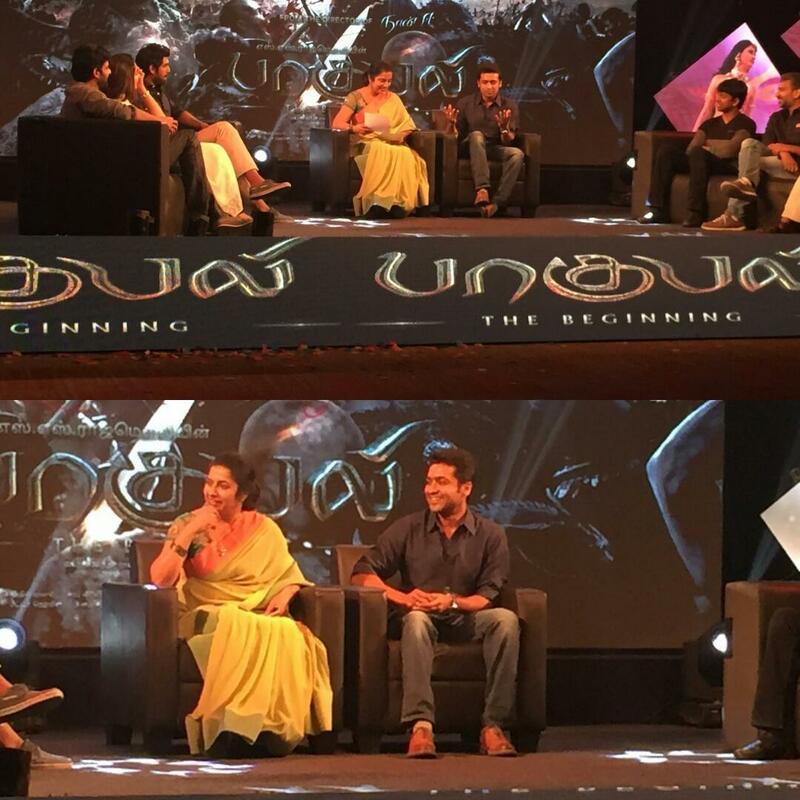 Actor Suriya launched Baahubali Tamil Trailer today. 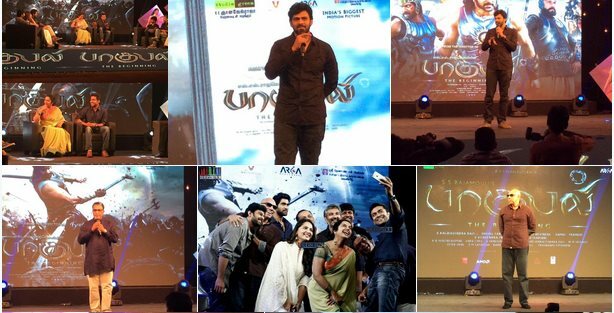 Prabhas, Rana, Anushka, Tamanna and whole team of Baahubali graced the Trailer launch event in Chennai today. 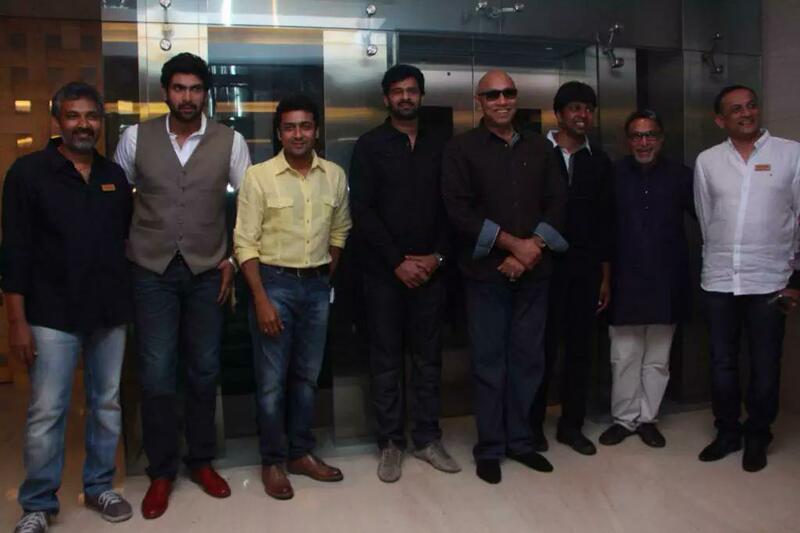 Remember, Prabhas has promoted Suriya's Venkat Prabhu directed Masss in Telugu, by launching Rakshasudu audio there and it is payback time for Suriya. Being distributed by Studio Greens in association with UV Creations and Karan Johar's Dharma Productions, Baahubali is gearing up for grand worldwide release on July 10. MM Keeravani is the music director for this Arka Media Works production film.